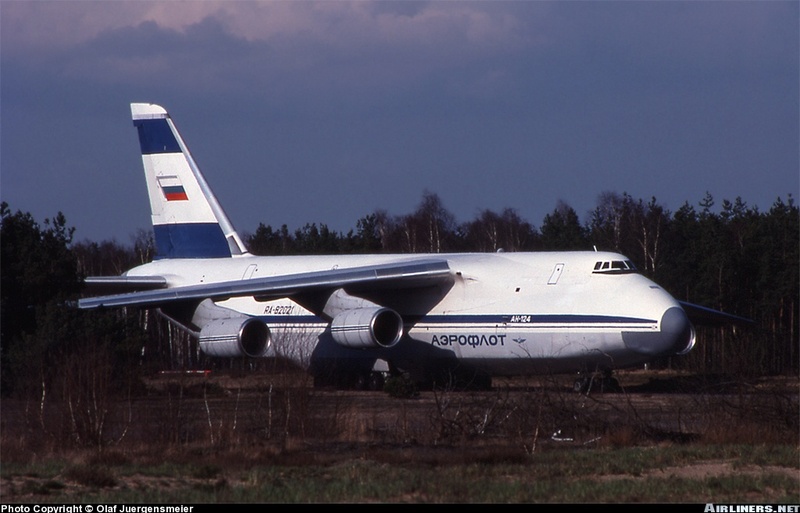 During the 1970s, the Soviet Air Force identified a need for an extremely large heavy lift strategic aircraft. The existing An-22 was neither fast enough nor available for strategic tasks, being far too heavily used for tactical airlift. The Antonov Design Bureau was tasked to develop a jet-powered strategic airlift aircraft. Design work began in 1971 with construction of the first prototype commencing in 1979. 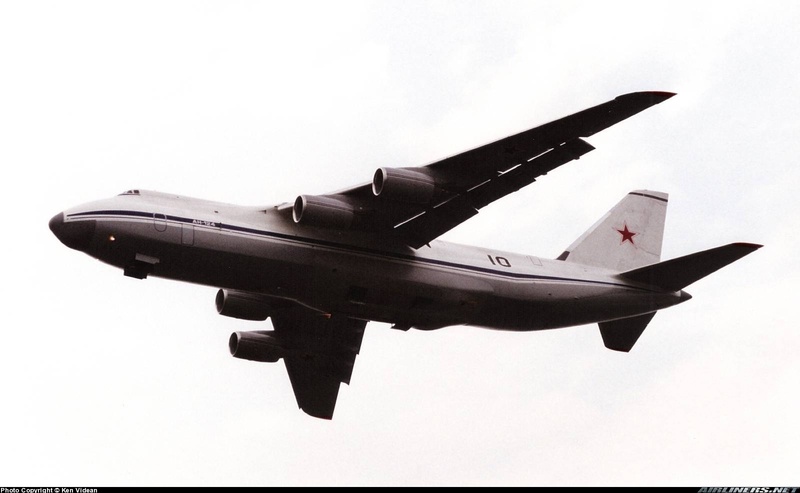 The An-124 Ruslan was revealed to the West at the 1985 Paris Airshow, an event often used by the Soviets to showcase their newest aircraft. 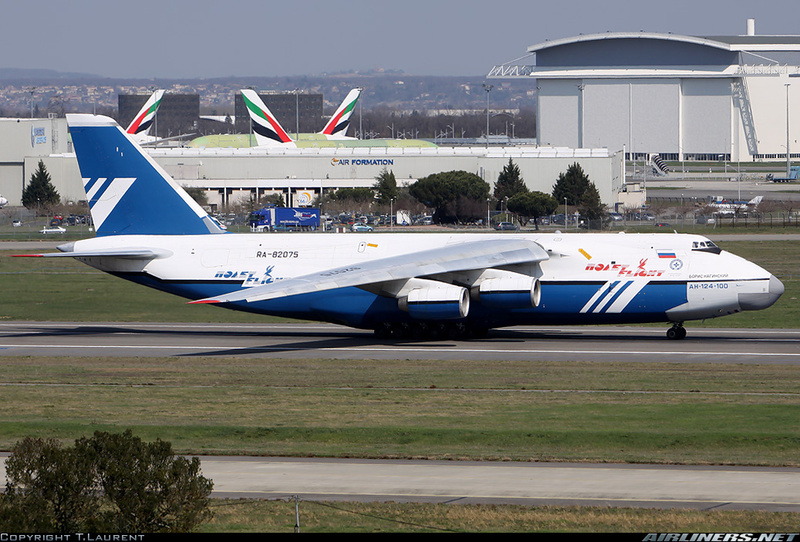 The An-124 is similar in size and general configuration to Lockheed's C-5 Galaxy, with the exception of a conventional tailplane rather than the Galaxy's T-tail. The Ruslan has a 20% larger cargo hold than the Galaxy, can carry a 25% greater payload, and is equipped with an internal overhead crane for cargo handling. The aircraft can “kneel” its nose landing gear struts to allow for ease of loading through the raised nose. There is a provision for 88 passengers in the upper deck aft of the wing. Unlike the Galaxy, Ruslan has found acceptance in the civilian heavy lift market, and in an ironic twist for ex cold-warriors, been extensively used by NATO since the fall of the Soviet Union. In 2009 the production line was restarted for the first time since 1991, something which happens only rarely in the history of aircraft manufacture. Gear “kneeling” with both doors open. The fuselage is two halves from cockpit to tail. The opening nose is in two halves while the complex rear doors are provided as separate parts for the opened version, and as one piece if you wish to show them closed. There is a very complete interior including a detailed cockpit, 4 different ladders leading to the upper deck and main cargo bay made up of floor, side walls and roof. 3 bulkheads fit to the tube thus formed, so even if you wish to show the doors and nose closed you would be well advised to make up the interior to help the fuselage keep its shape. The small windscreen is an Airfix style strip. It should be fitted with care to avoid breaking it. The wings are two halves for each side, with separate flap actuator fairings, each made up of two halves. There is nothing complicated about them except the size. Separate clear wingtip navigation lights are provided. Each horizontal stabiliser is made up of a top and bottom half. They should be left off until after painting and decalling, especially if you intend on doing the Volga Denpr scheme. They feature a substantial mounting tab which should make for a positive fit. The engines are quite complicated, made up of a cold section cowling which includes the strut and a hot section which fits inside. A separate intake fan and intake trunk completes the front of the cowling. The hot section consists of the cowling halves, a turbine fan and the rearmost cold section fan which mounts on the front of the hot section and closes off the rear of the cold section. These are the most highly detailed 1/144 engines I have seen. The landing gear struts and wheels are finely moulded and nicely detailed. The 10 main struts are separate, and there is an option to position them for the nose struts kneeling or fully extended. The two nose struts are equally detailed. The kneeling option requires a pair of support struts to be attached to the nose struts. All 24 wheels are have nice detail. 4. RA 82021 of Aeroflot during 1998 This aircraft has extensive areas of blue on the fin. The instructions would have you paint the wingtips blue as well, but this appears to be a misprint; the real aircraft did not have blue wingtips. The decal sheet has dozens of tiny stencils. Applying these will be a multiple session process. 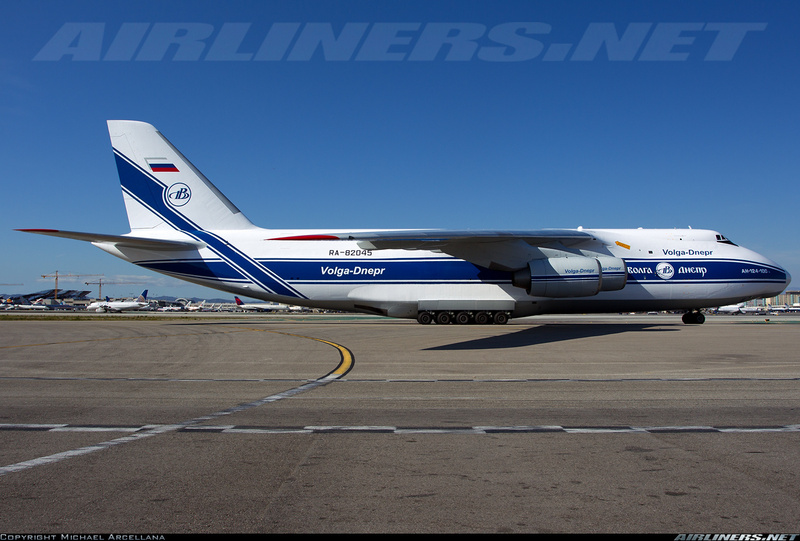 RA-82045 looking recently painted in Los Angeles, March, 2012. RA-82075 visiting Toulouse in March of 2012. RA-82021 communing with the trees, Sperenberg Germany, 1994. Black 10 departing Farnborough with a load of Range Rovers in the mid 1980s. Highs: Delicate parts with detail unsurpassed in any other 1/144 scale kit. Lows: Is too many excellent options a low? Even in 1/144 it is a large model which may limit display options. Verdict: his kit will surprise even the larger scale builder. Levels of detail previously unattained in 1/144 make this kit one to grab.